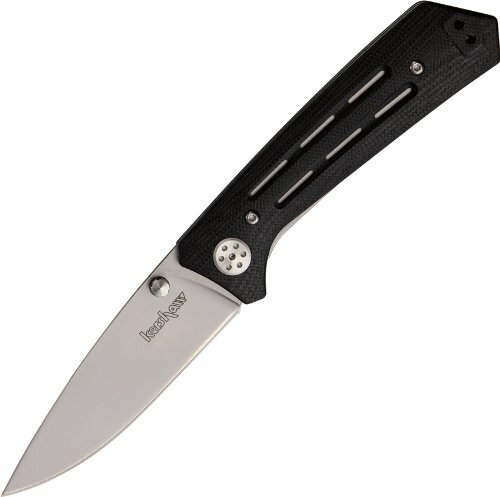 The Boker Plus 01KAL74 Kal 74 Knife has a liner lock with black aluminum handle with structured finger grooves, and a bead blast, 3 ½ in. blade made of AUS-8 steel. Includes pocket clip. Overall length: 8 in. Weight 4.9 oz. This Boker Plus knife isn’t just for cutting, it’s for leaving a mark. Limited lifetime warranty. A chestnut tree is the world famous trademark of the Boker knife manufactory in Solingen, Germany. It represents innovative, high quality, exceptional knives, manufactured with pride, by hand, for over 145 years. 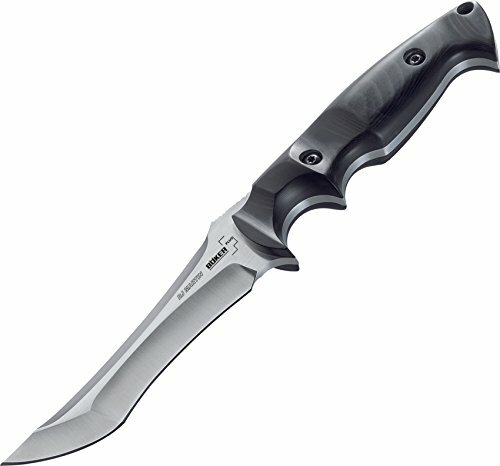 The Boker Plus 01KAL13 2013 Kalashnikov Knife is a powerful addition to our Boker Plus Kalashnikov Series. The robust, titanium coated blade, made of 440C stainless steel, can take on any cutting task with its dynamic surface pattern and sharp partial wave. 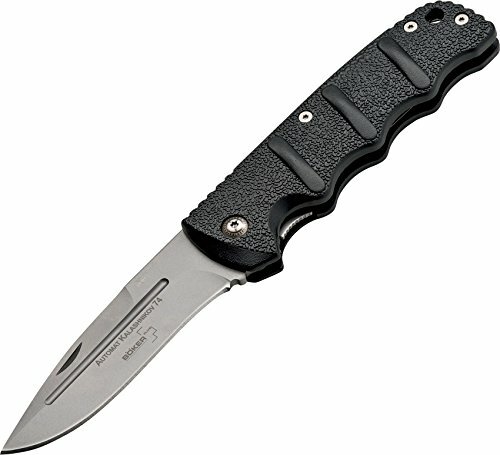 The heavy duty handle is hardcoat anodized aluminum with non-slip G-10 scales, providing a comfortable and secure grip. Locks securely with the sturdy liner lock mechanism. 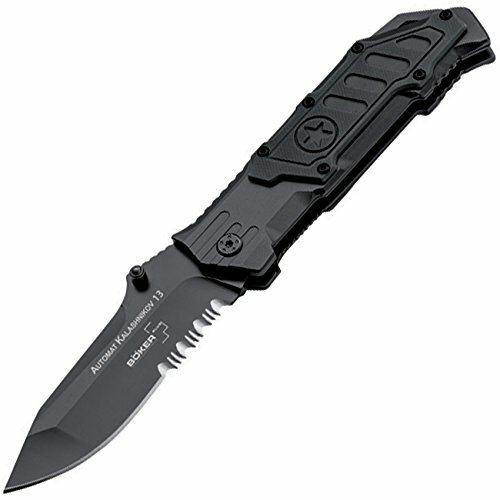 Includes pocket clip and Cordura sheath. Blade length: 3 ¾ in. Overall length: 8 ¼ in. Weight: 7 oz. This Boker Plus knife isn’t just for cutting, it’s for leaving a mark. Limited lifetime warranty. A chestnut tree is the world famous trademark of the Boker knife manufactory in Solingen, Germany. It represents innovative, high quality, exceptional knives, manufactured with pride, by hand, for over 145 years. This innovative interpretation of the Kalashnikov series is designed for our line of Boker Plus knives. The blade is made of AUS-8 stainless steel. Structured finger grooves on the aluminum handle provide a secure grip. 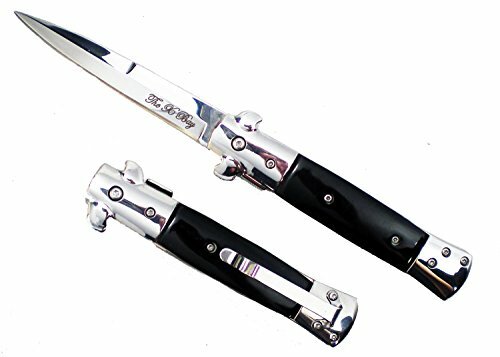 Liner lock with black handle and plain edge blade, featuring a nail nick for two-hand operation. 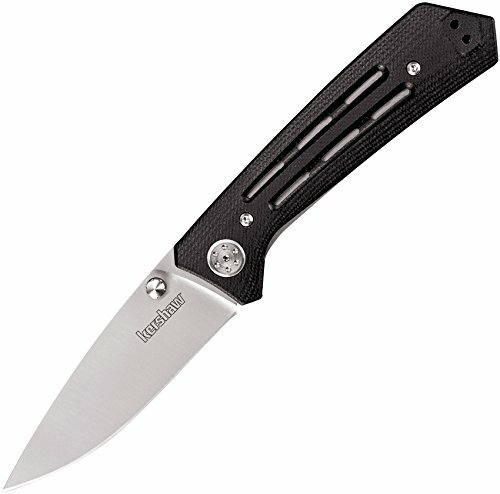 Blade length: 3 1/2". Overall length: 8". Weight: 4.8 oz. 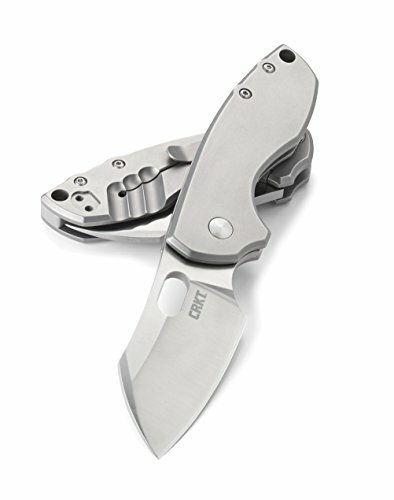 The Boker Plus Rampage Fixed Blade Knife, designed by R.J. Martin, is a stunning, tactically enabled knife designed to combine an ergonomic handle with a super-aggressive blade. 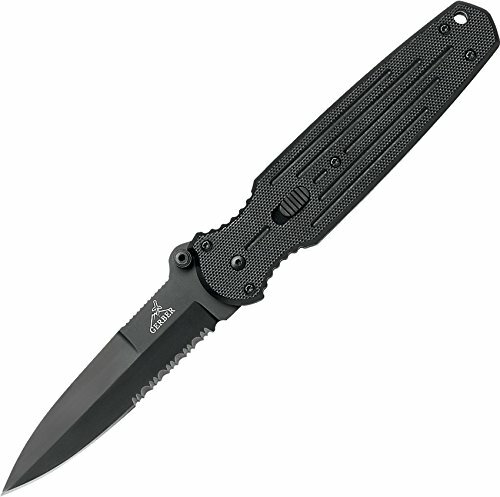 The black Micarta scales offer superior grip thanks to deep finger grooves without being unnecessarily rough. 440C stainless steel with a deep hollow ground gives the knife a durable, sharp profile. The corrosion resistant blade is also easy to sharpen, making it ideal for those who are just getting into knife collecting. A serrated thumb ramp makes it easy to control. With a slim handle and a sleek profile, the knife makes a long-lasting impression. The blade is 4 3/4 inches long, with an overall length of 9 1/2 inches and a weight of 5.8 oz. Limited lifetime warranty. A chestnut tree is the world famous trademark of the Boker knife manufactory in Solingen, Germany. It represents innovative, high quality, exceptional knives, manufactured with pride, by hand, for over 145 years. Boker Kalashnikov 74 Automatic Knife JUST GOT EVEN BETTER !! !